The results ran both in abbreviated and longer versions in the Press & Sun-Bulletin, Pressconnects, and this blog. The long version was 3,700 words -- about 10 times the length of a standard newspaper article. But it was still short considering the scope of the subject. By comparison, I needed more than 90,000 words to tell the story more comprehensively in my book, Under the Surface. Now, moving on to an altogether different thread of the story, Chip Northrup, the drilling-investor-turned-fractivist, offers another critical aspect of the story’s history: economics. You can read Northrup’s full post here. 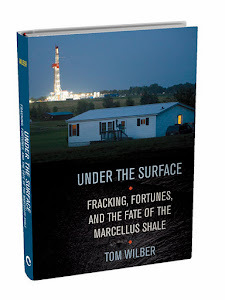 I am currently finishing an updated version of Under the Surface, Fracking Fortunes and the Fate of the Marcellus Shale, to be published in paperback by for Cornell University Press next year. This will probably be close to 110,000 words. I would like to think, as the subtitle suggests, it covers a lot of ground and offers a pretty good idea of events that distinguish New York from Pennsylvania and the rest of the nation with the unfolding of the on-shore drilling boom. But there will always be more to report. In that spirit, I encourage readers to pass along any of their own stories or recollections. 인터넷카지노 Thank you for your help. Thank you. I really liked your article and the photo is super. Thanks you. If you need home help, our homework writing service will do the best for you.